Motor Design High efficiency motor is of a four stage construction, consisting of two stationary stages and two revolving fans both having six spiral blades each. Motor cooling fan draws air in from around the cap and cap cover for motor cooling. Motor Brushes Increased motor brush height along with a taller armature commutator returned a more efficient motor. Motor Protection Thermal cut-off feature that prevents motor from burning up in case unit tips over or if water gets up in motor. The SE version comes with an electric hose which allows you to easily switch back and forth from carpet to the bare floor attachments, to the dusting and crevice tool without the need to switch to a different hose. The D4C SE (Special Edition) carries a complete 10 year labor warranty. Our refurbished units have all worn items replaced and all upgrades or revisions are also applied. You can be sure that your purchase will be inline with factory specifications. If something should go wrong, all you have to do is call our toll free number and our specialists are here to help. If it is not something simple that can be handled over the phone, we will have your unit picked up at your home the next day for free. Our company focuses on the repair of the Rainbow system, so you can be confident we will find and correctly fix any problem or issues that you might come across. Internal Electric Pistol Grip Hose. The larger water pan has several benefits. Fits models E2 Type 12 (e2 Silver, Gold), and E-2 (e SERIES™). It is designed for heavy duty jobs when the standard water pan gets thick with dirt very quickly. Once the water gets thick, you begin to lose the filtering benefit of water. Use this larger water pan to allow twice as much water for the dirt to filter through. The larger water pan is also a benefit when you are doing water pickup. Either with a hose or using the AquaMate accessory, you will not have to dump the water pan as often. We highly recommend this item if you have pets that shed heavily. This model fits to the D4C SE (Special Edition), PN-2 and R-4375C power nozzle electric hose. Stairs: It's a snap to clean stairs with the RainbowMate. Makes cleaning faster and easier than ever. Chairs: Cleans most upholstered surfaces, including upholstered furniture. Automobiles: Cleaning car interiors is a cinch with the RainbowMate. Dual Power: When connected to the Rainbow and its powerful Hurricane Motor, the RainbowMate provides the cleaning power of two, with its own internal motor. This 12 1/4 inch (31.11 cm) wide squeegee attachment cleans your floors like never before. The brush end fits hard to reach places and the squeegee gives you a streak free shine. This Squeegee fits all models of the Rainbow system. This head DOES NOT fit directly to the R14860 or R14022 self docking wands that come standard on the E2 Type 12 (Black) system. You would need to order (1) R7484 stainless wand. Step One: The sponge attachment (Not Included) can be used on tile or linoleum floors to scrub away embedded dirt and debris. Step Two: Flip the sponge over and the Squeegee wet pickup blade maximizes the wet pickup ability of the Rainbow, leaving floors virtually spotless. Step Three: To get in-between tiles on your floor, the brush goes where no mop has gone before, providing exceptional cleaning results. Step Four: By rotating the brush, the Rainbow Squeegee wet pickup blade finishes the job. Previous item number include R8286. Complete dolly assembly including four wheels for the D4 SE (Special Edition), D4, D3, D2, and D model Rainbow systems. This dolly allows the Rainbow to sit lower to the ground which helps prevent tipping over. It also fits snug against the water pan to prevent it from falling off when you pick up the Rainbow. Discontinued item numbers that this dolly replaces includes, R1518 (D3), R3479 (D3), R2811 (D4), R4140 (SE). Original OEM factory 2 quart water pan that fits the model D4 SE (Special Edition), D4, and D3 Rainbow vacuum. Does NOT fit the model D2. This item replaces discontinued item numbers R2809 (D4), and R1556 (D3). Some versions may have a silver warning label with item number R6853 in lower corner. Attachment caddy for the dusting brush, crevice tool and upholstery tool. Fits the model D4C SE (Special Edition), D4C, D3C, and D3A Rainbow system. This factory OEM 10 inch floor and wall brush came standard with the E-2 (e SERIES™), D4C SE (Special Edition), D4C, D3C, D3A, D2A, D2, and D model Rainbow vacuum. You must have the bottom wand that has a bend to it and two raised notches for it to work correctly. If you have a lot of bare floors, then you can upgrade to the 15 inch version. You would need to order the R8407 and two R7484 wands for the 15 inch version to work correctly with your D4, D3, or D2 Rainbow. If you have the e SERIES™, then you only need to purchase one R7484 wand. 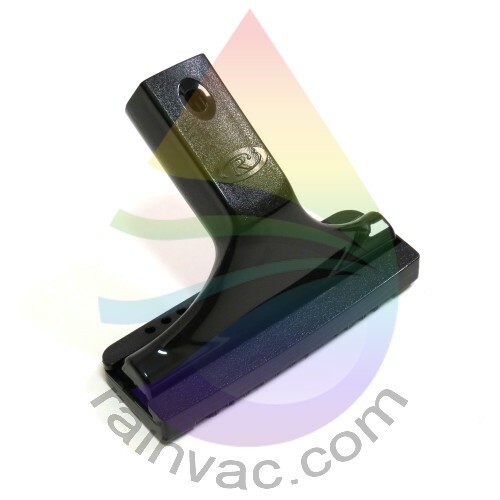 Effective July 28th 2000, model E-2 (e SERIES™), beginning serial number 9305396, the floor tool guard has been revised to improve retention and appearance. This is the new design that is a direct replacement for all other versions of this design. Previous item numbers include, R7340, R6419, R4530, R4659, R2007. This is an OEM factory original item and fits every model Rainbow from 1936 to current. The dusting brush is great for cleaning all your furniture without a concern of scratching due to the soft material the bristles are made of. Previous item numbers include R12439, R8054, and R2519. Clean edges and hard to reach areas with this handy tool. Also great for along sofa cushions and baseboard. Use the crevice tool around the edges of the room or any tight area that the standard wand cannot reach. This version has an extended area to help cover the power nozzle receptacle from water or debris. Effective serial number 20317204. Matches the R15156 attachment caddy and will NOT fit any previous caddy. Clean sofa cushions, carpet edging, and other hard to reach places with this crevice tool which fits all model Rainbows except the E2 Type 12 Black series. 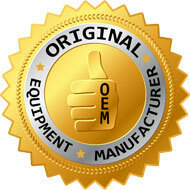 Original OEM factory crevice tool that fits all models from 1936 to 2012. Use the crevice tool around the edges of the room or any tight area that the standard wand cannot reach. Effective through serial number 20317203. Matches the R7278 attachment caddy. DOES NOT fit item number R15156 version 2 attachment caddy. This item has had numerous changes and improvements over the years. Extra images show some of the old discontinued versions. Genuine OEM factory original 7 foot 18 yarn hose that fits the D4C SE (Special Edition), D4C, D3C, D3A, D2A, D2, and D model Rainbow system. Also was the standard hose for the R-2800C, R-1650C, R-1650A, and R1024 power nozzle. This hose DOES NOT include the first stage chrome wand. Be sure to remove your curved wand and install into this new hose. Even though it can be difficult, your old wand does remove from your standard hose. Use a hair dryer to heat up the rubber end of the hose to help remove with a twist and pull method. Chrome curved wand that came standard with the D4C, D3C, D3A, and D2 Rainbow. This version does NOT have the button lock system for use on the newer design wands that also use the button lock system. Even though it might be difficult, your old wand does remove from your standard hose. Twist and pull to remove. Use a hair dryer to heat up end of hose to soften and assist in removal of wand. ALL FACTORY ORIGINAL PARTS. WE DO NOT USE GENERIC. Complete three year warranty. This model fits the D4C SE (Special Edition), D4C*, D3C*, D3A* and D2* Rainbow vacuum. Current revised item for the R-4375C power nozzle. If you have the R-2800C or R-1650C power nozzle, then you need to select the 138 inch option above. Comes standard with a 39 inch power cord (not pictured). Completely new, every nut, bolt and screw! This unit includes motor, brush roll, power cord, etc...just attach your wand and hose and go to work. Long straight wand that includes the channel guide for the R-4375C, R-2800C, R-1650C / R-1650A power nozzle. *Cord length should be cut down to 43 inches for proper configuration on R-2800C and R-1650C models. This hose is the second version and has a trigger in the handle to power on/off the brush roll assembly. Allows you to stop the brush roll from turning and go onto bare floors. Call our technical support team if you have questions on using this with your R-2800C and R-1650C power nozzle. Very easy upgrade and well worth it. The original part number for the R-4375C power nozzle was R4147. This item is a direct factory replacement. Now it is easier than ever to clean hard to reach, tight spots when you purchase this inflator tool which fits onto your D-series model Rainbow. The inflator tool is great for blowing up balloons and air mattresses. You can also attach the R4142 coil cleaner to it to reach narrow tight spots like the coils on your refrigerator. Designed for the D4C SE (Special Edition), D4C, D3C, D3A, D2A, D2, and D model Rainbow. Use this 16 1/2 inch (41.91 cm) coil cleaner for the R3358, R8053, and R14317 inflator tool assembly. Great to reach those hard to get areas such as the coils on your refrigerator. Place your couch cushion, pillow, stuffed animal inside this bag and use the upholstery tool to vacuum out all the air. Refresh your items like new. This handy plastic bag is sized to fit even your largest pillows. Place cushion in Aerofresh bag. With upholstery tool attached to the end of the wand, hold bag tightly around the wand and remove stale, dusty air from the cushion. Without letting go of bag at wand, quickly remove exhaust cap and attach hose to the air exhaust opening on Rainbow to "re-fluff" your cushion with clean, water-washed air. Obsolete item number is R826 which was a clear material and not blue. This manual covers the second D4 version that was introduced in 1990 and ran through 1994. The matching power nozzle is the R-4375C and R4183 manual. Owner's manual for the model R-4375C power nozzle written in English. The matching Rainbow is the D4C (Special Edition) and R4244 manual. Owner's manual for the model D4C Rainbow written in English. This manual covers the first D4 version that was introduced in 1986 and ran through 1989. The matching power nozzle is the R-2800C and R2862 manual. Almost double the length of the standard 7 foot hose that comes with the Rainbow system. Very handy for reaching your ceiling fan without holding the unit and also nice for stairs so you can keep the Rainbow at the top or bottom of steps. You can either use your existing R2807 Curved Wand or purchase and extra for use with this hose. This hose fits the D4C SE (Special Edition) PN-2 and R-4375C power nozzle. Call us for details if you would like to fit this hose to your R-2800C or R-1650C power nozzle. Obsolete item numbers include R6240 and R5285.